While the stock market has more than doubled over the past decade (including the terrible crash of 2008), many dividend paying stocks not only showed capital appreciation, but double, read triple their payouts. The best part is whenever the market crashes again; most of those stellar companies will continue to raise their dividend. If you pick your companies carefully, your dividend growth won’t be affected by the noise coming out of the market. You will continue to increase your investment revenue no matter what happens. You will even have the opportunity to invest during the market downturns through reinvesting your dividends. The problem with an overvalued market is that the hype acted like a wave on the stock market; even garbage at the bottom of the ocean got brought back to the surface. Therefore, all companies look great right now. This is why I’ve developed my own strategy to select companies that will not fail with their dividend growth duty. I’m ready to invest a substantial amount in the stock market now, but I don’t do it blindly. 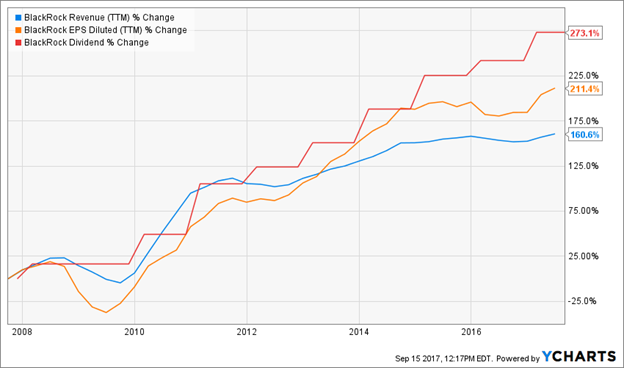 At the moment, there are lots of dividend growth stocks trading at premium. How do you know which one is a good pick and which one is a bad seed? We could argue all day long about various valuation methodologies. But you and I will agree with something; no matter how many hours you spend determining the value of a company, your results will only be as good as your assumptions. This sounds like a simple method, but this is only the start, the foundation of my research process. A complete investing strategy is required to make sure you make the right decision. However, you need to start with something. I start with these 3 metrics. While I focus on companies increasing revenues, chances are they will make more profit. 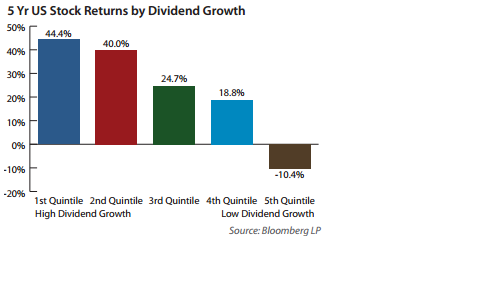 With additional earnings, chances are dividend payments will continue to rise. Since I aim at dividend growth stocks only, this is a simple but efficient equation. The stock market will do whatever it wants; going up, going down, going sideways, etc. The key is to select companies with a strong business model that were able to show revenue, earnings and dividend growth over the past decade. Those companies will be affected by a correction and their shares will plunge accordingly. However, their dividend won’t and that is what truly matters. Did you know that it took less than 3 years to recover from the worst market crash ever? If you can’t wait three years for your portfolio to show its original value, maybe you are not up to investing. A company showing a strong dividend growth over many years is the ultimate sign of a healthy business. This is kind of business that will ride any storms in the market and will continue to raise its payouts in the meantime. These are the kind of companies I want in my retirement portfolio. Looking at past data is important and a crucial part of my investing process, but looking into the future is even more essential. This is where writing down my investment thesis comes in handy. Too many times, investors get lazy for this part. They spend hours filtering data, going through statements and then, they pull the trigger without writing down all the reasons why this company will continue to do well in the future. In my investment thesis, I define the company’s business model and I identify why it is so successful. I also list its growth vectors to ensure future dividend increase. A company could be dominant today, but lack of drivers to sustain its revenue growth. A company like Altria (MO) is a good example. It’s a dominant company, paying a strong dividend and generating lots of cash flow. However, in 10 years from now, how will Altria be growing its revenue? There is no answer to this question right now. My investment thesis will also be of a great help when it is time to review my holdings and decide if I should sell some of them. Instead of watching the stock market going higher and feel it’s time to sell before everything collapses, I focus on the reasons why I bought those shares in the first place. A) Is the company heading towards my expectations (e.g. is the potential being realized or was it just a mirage)? B) Does the company still shows future upside potential (the stock may go up, and still shows it could climb higher)? When the answer to one of these two questions is a blunt “no”, the sell is triggered. Finally, my investment decisions are motivated by the fact that the company confirms or infirms my investment thesis. Once the reasons (my investment thesis) why I purchased shares of a company are not valid anymore, I sell and never look back. The last step of my investment process is valuation. As I mentioned earlier, valuation is important, but it is also based on numerous assumptions. BlackRock is the world’s largest asset manager with over 4 trillion in assets under management (AUM), operating in 41 countries with over 1 billion each in assets to manage and serving clients in over 100 countries. BlackRock serves all kind of clients (from retail to its 4,000 institutional clients and pension plan managers) through its wide range of products (from mutual funds to ETFs). 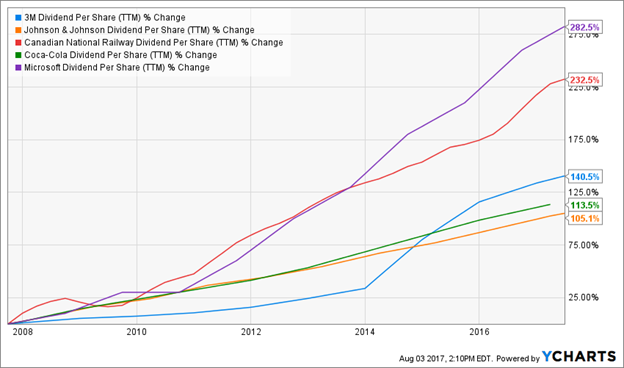 Blackrock is also the largest ETFs manufacturer through its iShares products. The ETF investing trend is established and solid. An investment in BlackRock is an investment in a leader in a flourishing market. 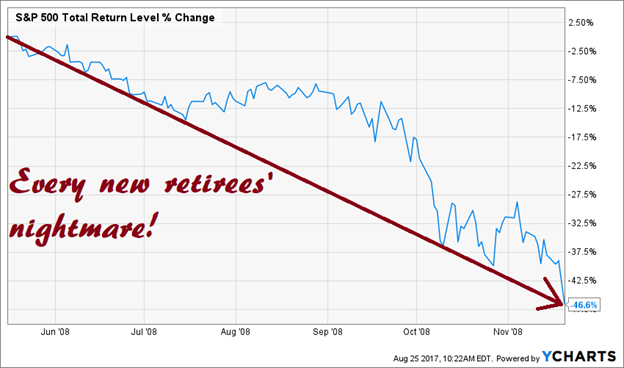 Retirement planning is the financial issue of the century as many workers don’t benefit from fully funded pension plans. When you are the largest ETF manufacturer, you can be sure to grab an enormous market share of those workers and institutional fund managers looking for new investment products. Through its platform for advisors, Aladdin, Blackrock helps them to select the best investment vehicle possible. Through regulations in the work by The Department of Labor (DoL), advisors will have the mandate to select the best product for their client. They will have to ignore those juicy 2%+ mutual funds and aim at lower cost options… read ETFs. Finally, through its product diversification, Blackrock is assured to keep their clients regardless of what happens on the market. If there is a correction, investors will move their money away from equity and invest in fixed income. Blackrock will keep their client (while they will be making less profit on fixed income) and will be there to move back the money to equity once clouds are gone and the sky is clear. Readers who are interested in Mike's strategy, can learn more about it here. - How to Find Dividend Stocks With The Market At All-Time Highs.